Excellent drive-in studios with very large full infinity cove and ample parking. 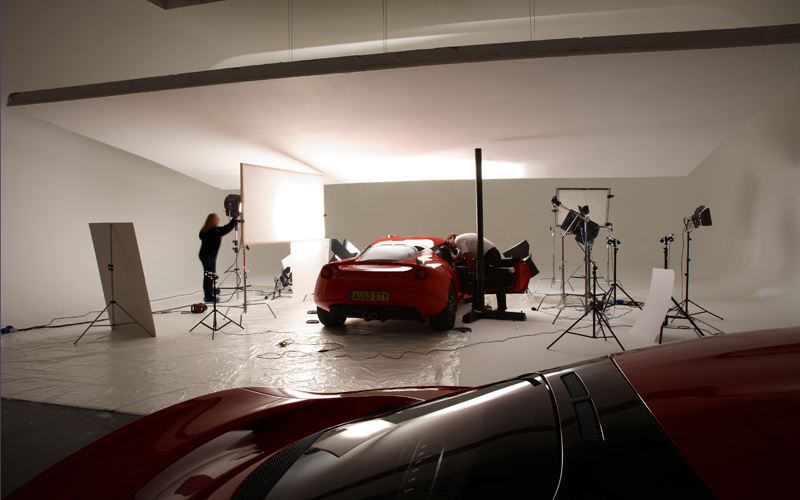 Studio hire for TV ads, commercial and music videos, room-sets, vehicles, products, people and fashion. Studio lighting hire. Lighting direction and gaffer, set-building and other support services. Studio photography provided includes advertising, commercial, catalogue, room-set, cars, bikes, commercial vehicles, products, fashion, portfolios and portraits including very large groups, parties, family and kids.